Google’s Engage program, and more specifically their Google Engage for Agencies, is an incredibly useful tool for businesses starting out in the SEM industry. I’ve been working through their materials for a while now, and it comes with some great benefits, including local training events, webinars, and a few useful tips. During a recent promotion though, which really had little to do with Google Engage, I found out where things just don’t connect when it comes to Google. 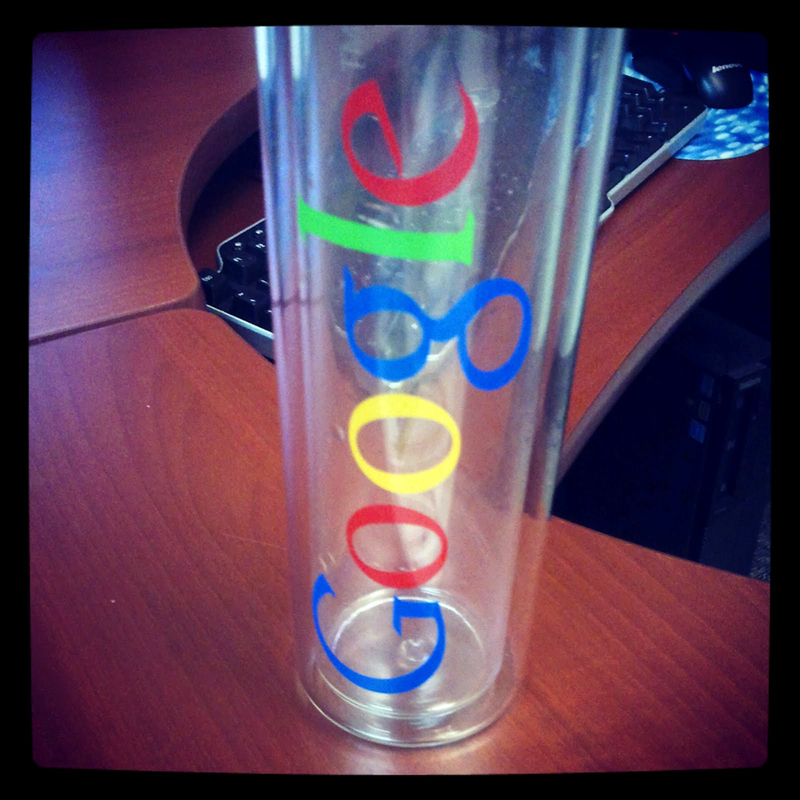 The whole thing started when Google Engage sent me a kit for a promotion they’re doing. While I don’t consider the promotion incredibly compelling, since it’s geared exclusively for new customers and has little benefit to me (pulling in a thousand dollars from the promotion only earns you a chance to win a Chrome laptop, while twenty thousand only gets you a chance to win a trip to Google head office), my real issue was with the execution of the whole thing. When the box arrived for me, with a nice glass water bottle, twenty promotional flyers for clients, and a (missing) Google pin, I was a little surprised when I had to pay a COD fee, especially when I didn’t even know what was in the box. That’s when things started to get silly. Apparently, Google did not intend for Canadian residents to have to pay this fee, which was effectively customs fees, so after writing to them to complain, they apologized and offered me a $50 code for Google goodies from their online store. They also then said they were sending me a refund for what I paid. I looked around the Google store, but decided to wait a little while to pick something out, and then a couple of weeks later that “refund” came in the mail. Some genius decided to send out a domestic United States Postal Service money order, and the key word there is domestic. Since Canada has no USPS, I basically have a money order I can maybe some day use when I go back to the U.S.
Jump ahead another week or two and along comes a letter apologizing for the mistake, plus a Visa gift card. On the bright side, I was obviously able to finally use that gift card (although it said it was for $5 more than it was actually good for), but then came the final stupid little last kick in the teeth. As it turns out, that Google code for $50 works fine, but guess what? Shipping on a $50 item to Canada, the cheapest rate available I might add, is $77.80 by ground. Shipping by air, you ask? That would be $210.79. What’s funny is that this is just to ship me a backpack that maybe weighs, what, a pound at most? While I still appreciate what Google tried to do, and the effort of the contest overall, it just makes me wonder how a company could get a few simple things so incredibly wrong. When Google works, it works incredibly well, but this is an example of how the behemoth company may need to get just a little more organized if they’re going to work with those of us in Canada–which frankly is a lesson any company should consider if they want to make the most of their business in a new marketplace.